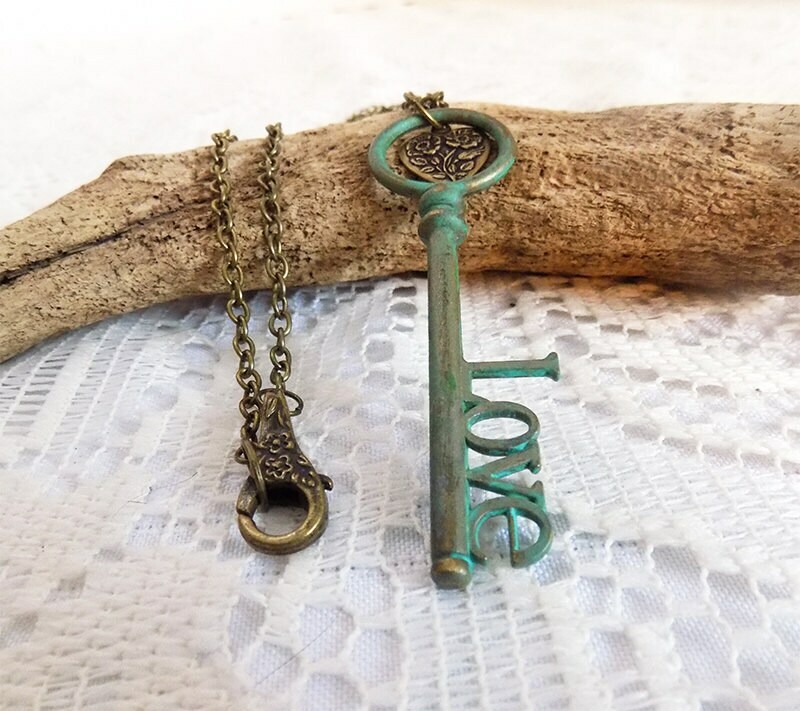 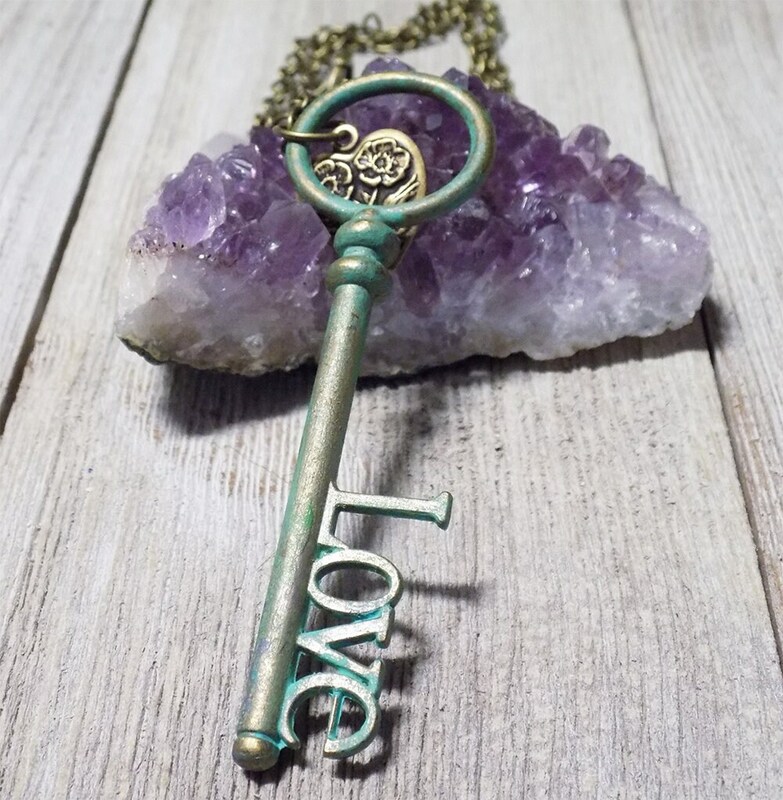 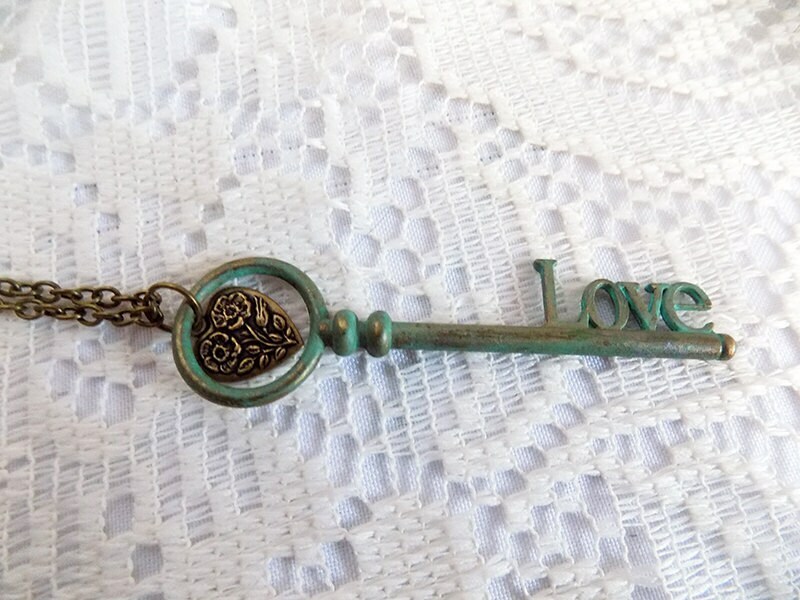 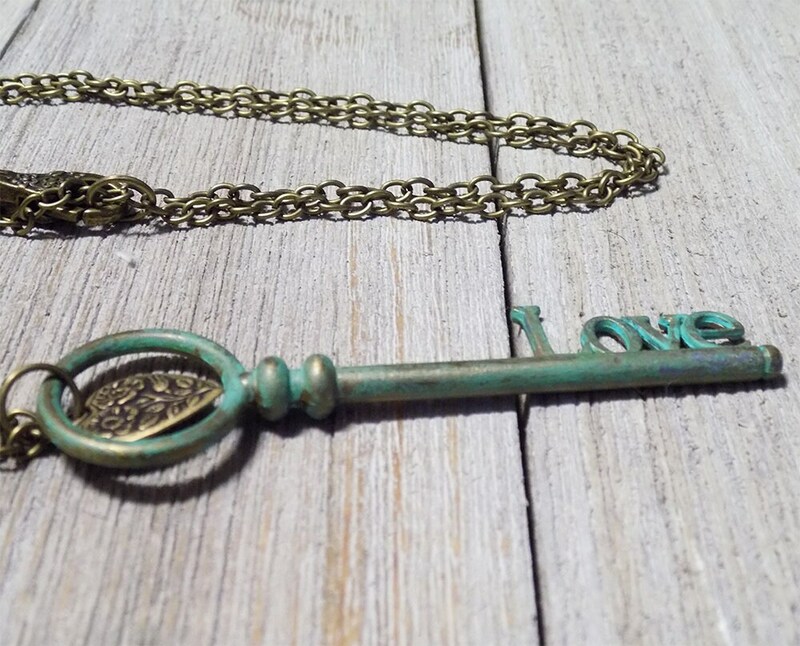 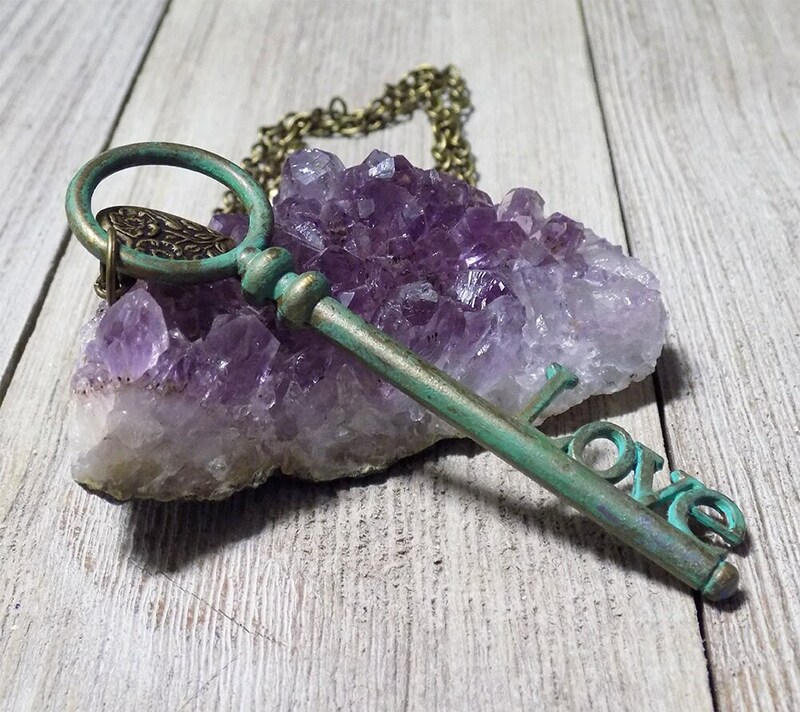 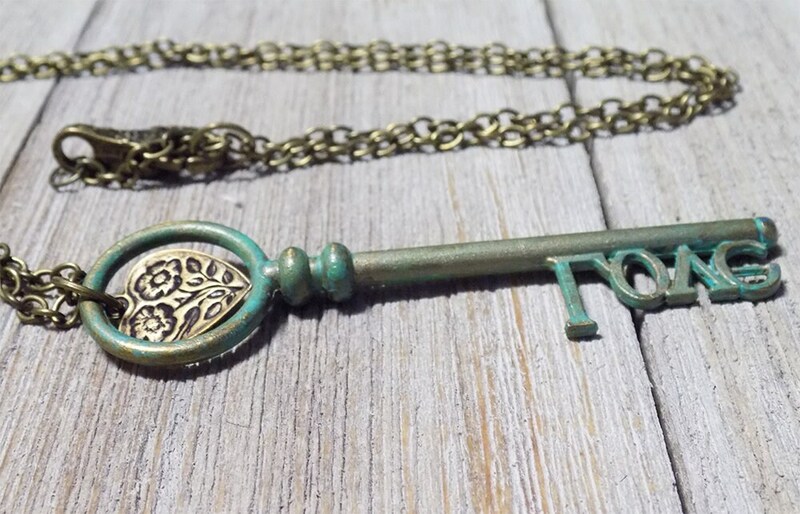 This antique bronze key necklace has had a hand painted patina applied. 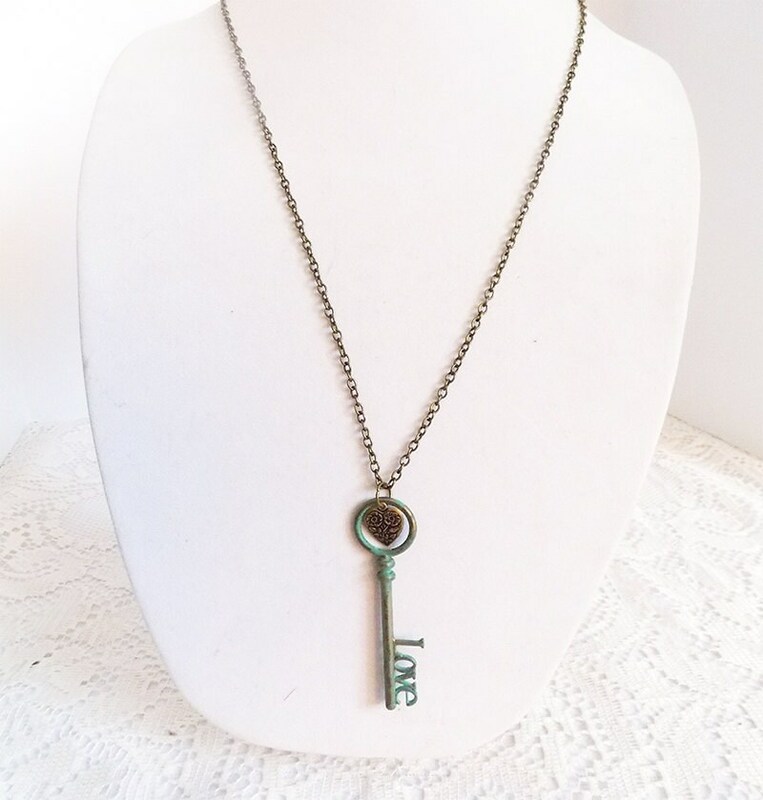 The necklace is finished with an ornate oversized lobster clasp and the length is approximately 28'. 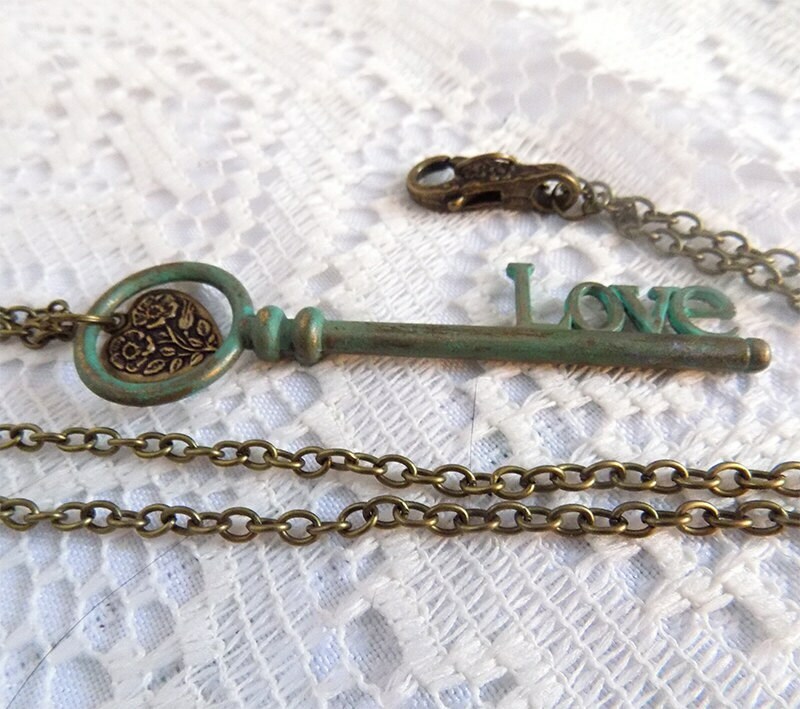 Even though these are made for everyday wear, they are still delicate. 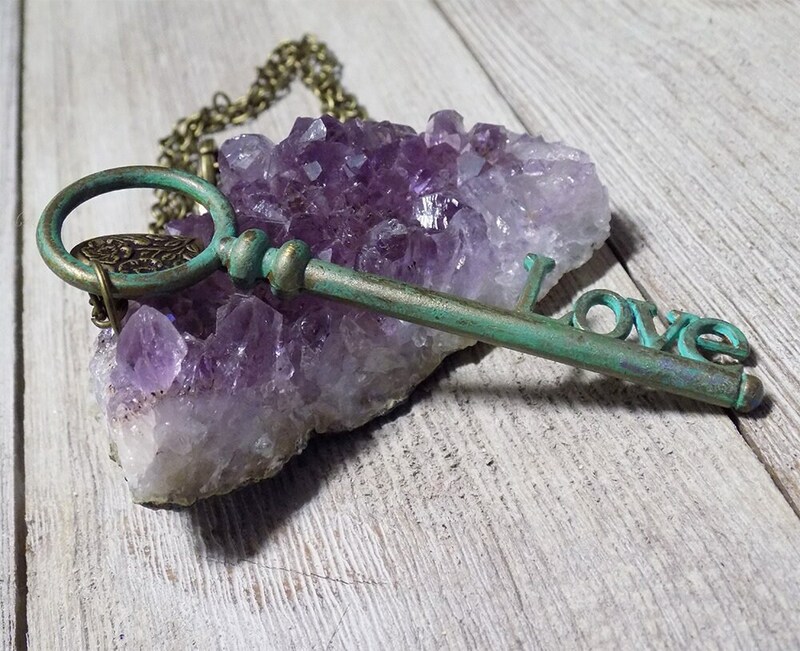 Please do not spray perfume, hairsprays or any other chemicals on any jewelry. 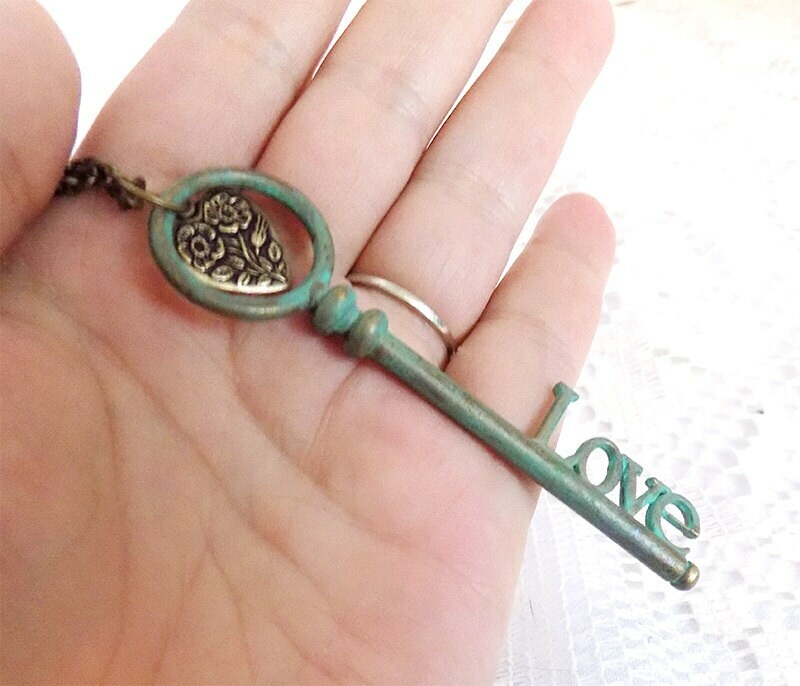 Please be sure to remove them while engaging in rough activities or going in water.